This extends Reseller Club to accepts money/payments through Stripe Payment gateway on your supersite. 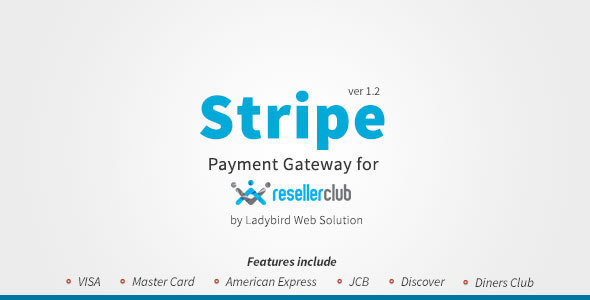 Stripe is a developer-friendly way to accept payments online and in mobile apps, integrate it with your supersite or reseller panel provided by Reseller Club. Open the documentation, make slight changes, enter API/key values from Stripe & Reseller Club account to the files as shown in documentation. Start accepting payment on your store front within 5 to 10 minutes.